RACE-PROVEN FOR YOUR ROAD CAR. 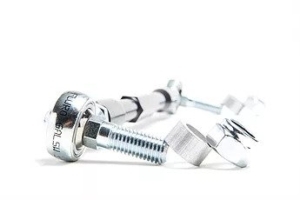 Our Adjustable Drop Links are an essential upgrade to any lowered car. 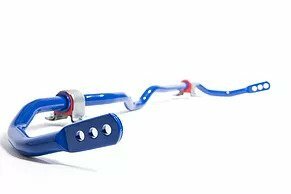 If you’ve lowered your car, the VWR Adjustable Drop Links are an essential upgrade to zero the pre-load on your anti-roll bar geometry, plus add stiffness and precision by replacing the stock rubber joints with rose joints. 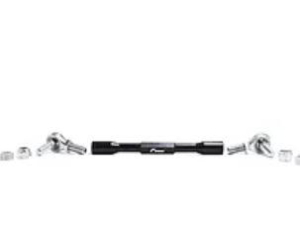 The drop link attaches the front anti roll bar ends to the front damper. The OEM links were made the length they are for a reason – to compliment the standard ride height. 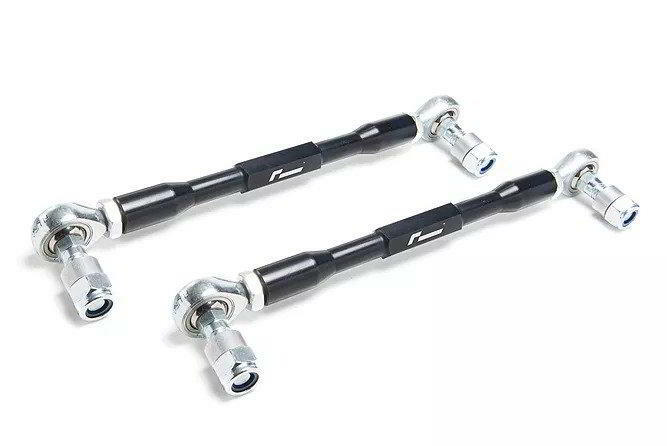 When you lower ride height, the car will now be pulling your anti roll bar ends up, pushing it out of its operating window, and forcing the link to sit at a sharper angle. These links were developed for our race cars to allow the anti roll bar to work the way it should. Adjusting the height of droplinks to the equivalent of the lowering amount is a must. 30mm of adjustable length to zero preload on the Anti Roll Bar. By replacing the soft rubber bushing from the factory links with rose joints , cornering and steering responses are sharpened. Developed for our race cars, with no compromise for road cars. Lightweight CNC-machined 7075 Aluminum bodies with beautiful anodised coating. Left / Right threaded ends make for easy length adjustment. 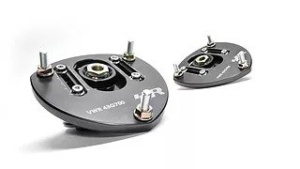 The highest quality motorsport-specification ball joint ends – heat treated nickel-plated steel, with high polish finish stainless steel inserts. 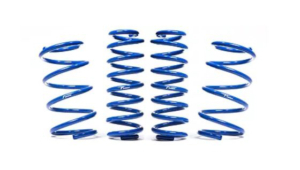 The VWR Sport Springs are one of our most popular upgrades, replacing the original factory spring set with carefully developed replacements to lower ride height and improve dynamics.